Draw the rarest penguin species. Think of its eyes! 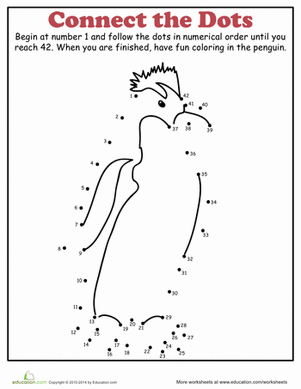 Connect the dots on this penguin! How much of their life do penguins spend at sea? How many species of penguins are facing extinction? Penguins eyes work better when they are on land.